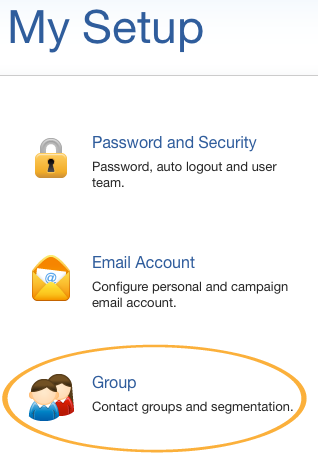 Enter [Campaign] section, then click the [Group] button at the top right corner. In the [View] drop-down list, choose [Unsubscribe Group]. To import contacts into the unsubscribe group of system, add an additional column with the header name [Email Subscription Status] in your data file and mark with value [Unsubscribe] for the contacts. Proceed with the normal import steps after your unsubscribe data file is prepared. All contacts imported will then be put into the Unsubscribe Group. To learn more about importing a file, please view: Import Contacts.